It’s hard shaking the misconception of survey websites being a scam. To be honest, it’s not that baseless – with every honest survey site out there, there seems to be another 10 that isn’t. PanelPlace just happens to be among the minority. 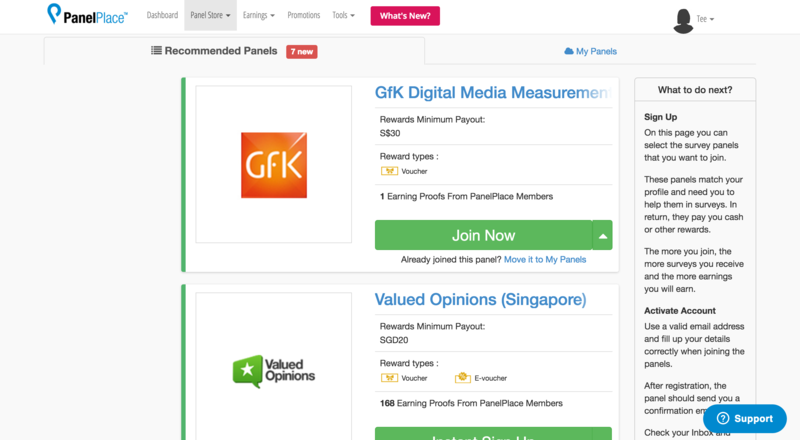 What PanelPlace does offer is a nifty summary of thousands of legitimate paid surveys – complete with links, form of compensation and the like. So, if you’re too lazy to scour the Internet for sites that aren’t phishing scams, PanelPlace’s your best friend. That’s exactly what the website leverages on: convenience. Users get to earn a quick buck, research companies get whatever information they need ASAP. Everyone wins. 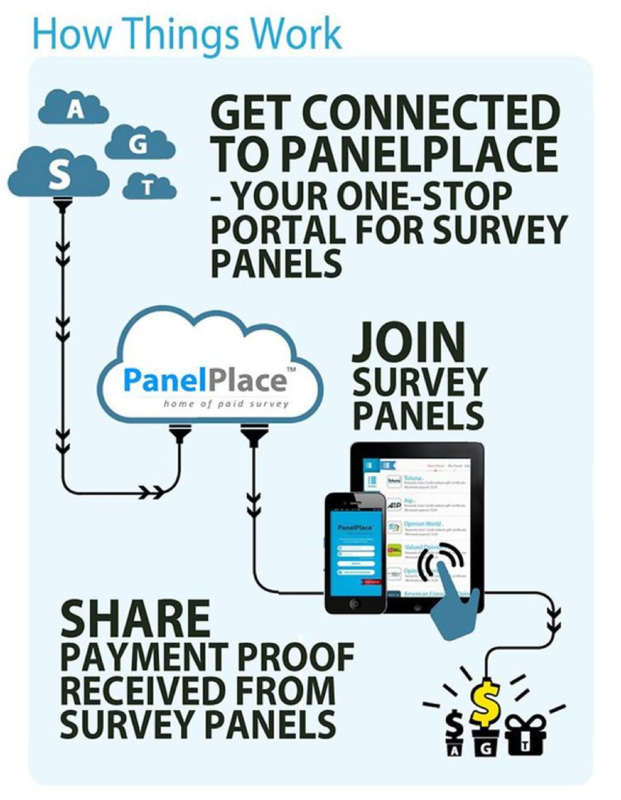 And PanelPlace follows through till the end – credits are automatically remitted to the user’s PayPal account upon completion of surveys. So all you have to do is answer a couple of questions, sit back, and watch the money start rolling in. Their numbers speak for themselves – in just five short years, the website has amassed an impressive following of 800,000 users worldwide. PanelPlace has a pretty interesting origin story – it didn’t start out as a full-fledged idea. Rather, it was a pet project started up at the behest of a survey panel in hopes of bringing more visitors to their website. 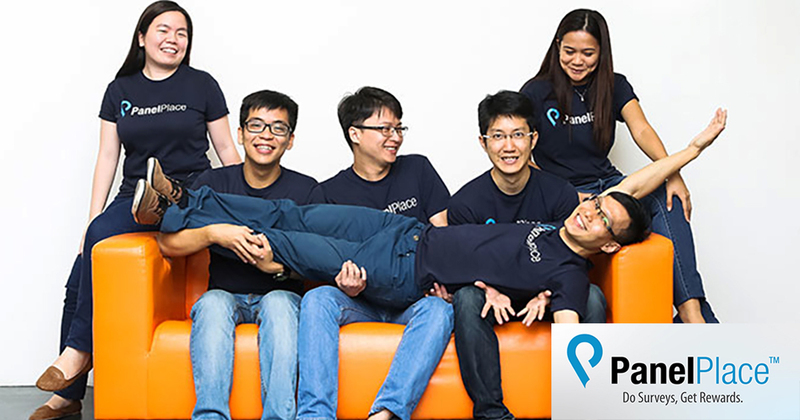 After realising there was a market for trustable, scam-free paid survey platforms, PanelPlace was established as a company in 2012 to pursue this vision. 5 years since its official conception, PanelPlace is still surviving well – which might be a bit of an understatement. The website has survey partners from a whopping 45 countries – over hundreds of them, in fact. That isn’t to say that things were smooth-sailing from the beginning. The team had to work past the lack of funding and manpower – they were just two people, with no other employees to fallback on when the workload got crazy. But hard work and effort paid off. Right now, the team has six full-timers on board, and has plans to add a couple more to their roster. From a meagre two-man team, PanelPlace sure has come a long way. I tried the service out myself to get a sense of how things were in practice. Upon signing up for a PanelPlace account, I was redirected to a summary of surveys. 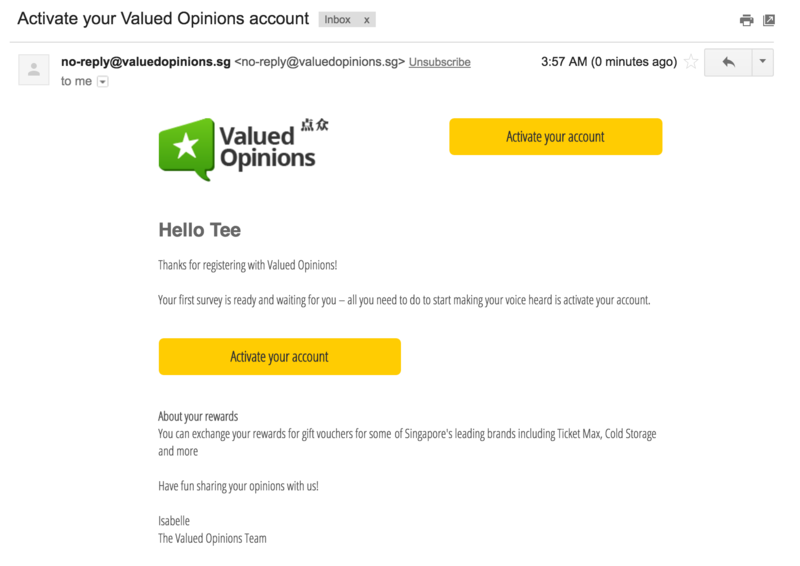 After clicking on the “Instant Sign Up” tab (For the case of this demonstration, the company Valued Opinions will be used), I received an email asking me to activate my Valued Opinions account. Every survey site has a minimum requirement before you can cash out, and it was $20 for this one. And this survey would earn me $1.50 upon completion. As you may have already gathered, it’s a tiring and tedious process to “save up” enough (it would’ve taken 14 surveys for me to accumulate the stipulated $20). But there are other surveys which have far lower requirements – there’s even one set at USD$2 – so you might want to check those out. They also have a mobile app available for both iOS and Android users, so you can also earn some extra cash on the go!